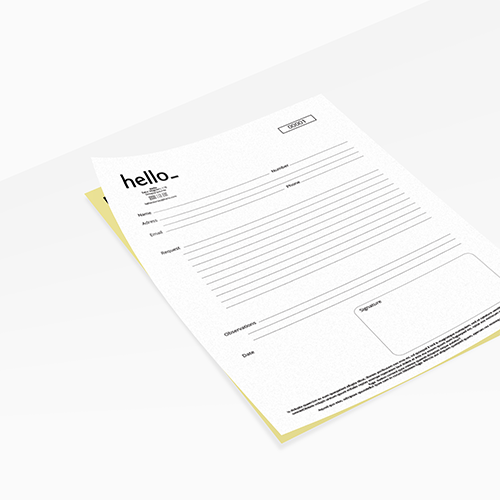 NCR Sets are often used to duplicate handwriting onto additional sheets in order to save time and effort. 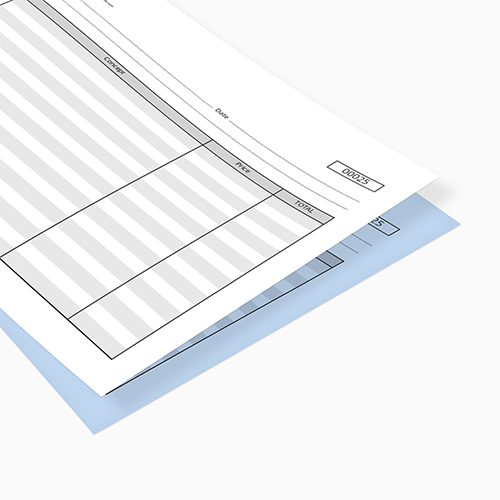 Commonly used for invoices, order details or client notes. 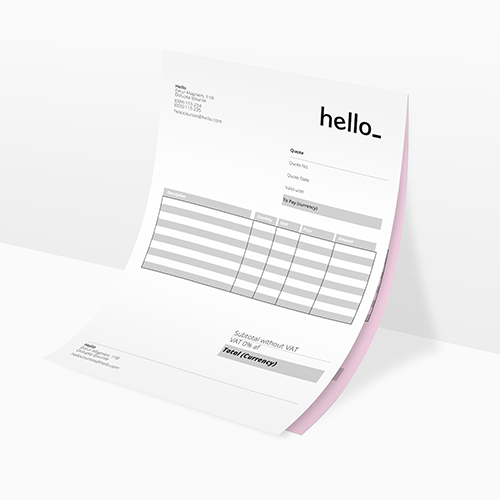 At Helloprint, you can order NCR Sets with two or three sheets in different colours. The NCR Sets are available in A4, A5 or A6. Additionally, you can choose your NCR Sets to be numbered, which is useful for your administration. Attention: The NCR Sets are completely blanc. Make sure you provide a complete design (logo, lines, text etc.). 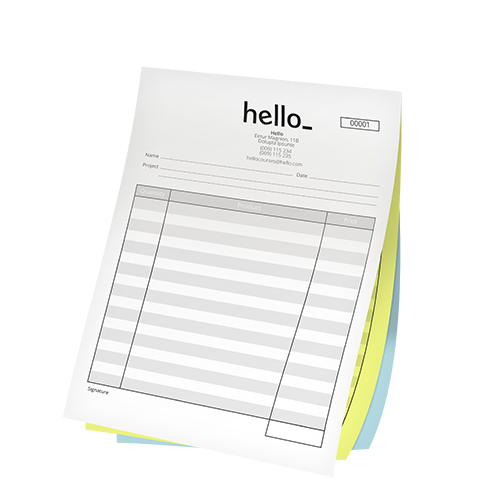 It is only possible to provide 1 design for the front sheet and also the sheets behind! 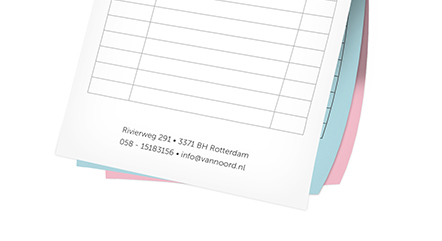 ncr sets, is a glued set consisting of 1 white frontsheet, and 1 or 2 (depending on your choice) backsheets. 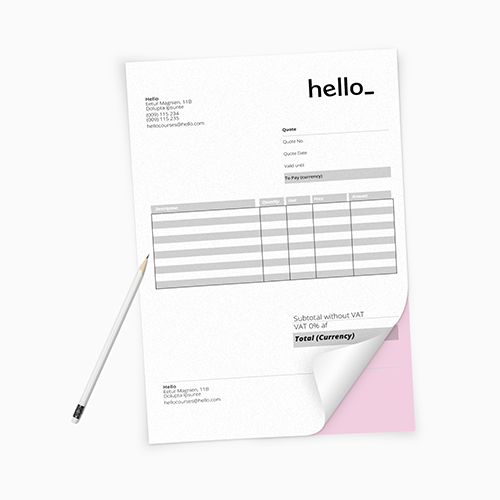 The text you write on the frontsheet, will be copied through on the backsheets. For the delivery of your ncr sets we use multiple carriers. Because of the highest reliability, in most cases we use UPS or DPD. The ncr sets that is chosen in most cases can be selected via our website. On which side will the NCR Sets by glued together? The NCR Sets will be glued together on the top. 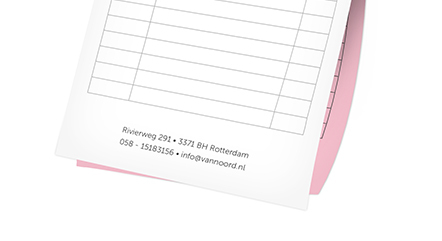 80 gsm offset: This is the most often-used paper for NCR Sets. The thin paper makes it easy to tear off. Because of it's structure the NCR Sets are perfect to write on. The size NCR Sets are numbered with 6 digits for technical reasons. By default, the number starts at 000001. If you want a different number, please contact us. Will my NCR Sets be printed in full colours?